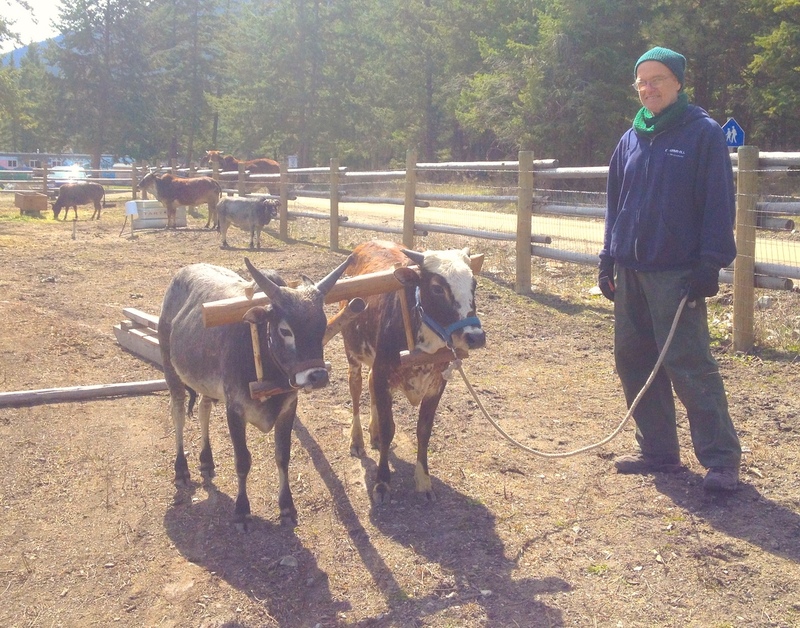 Yoginath and Udarakirti (aka Tm and Olga Moore), are a husband and wife team who have been involved with the Saranagati farm project since 1994. yoginath has a background in journalism and studied at Western Washington State University in Bellingham, WA. 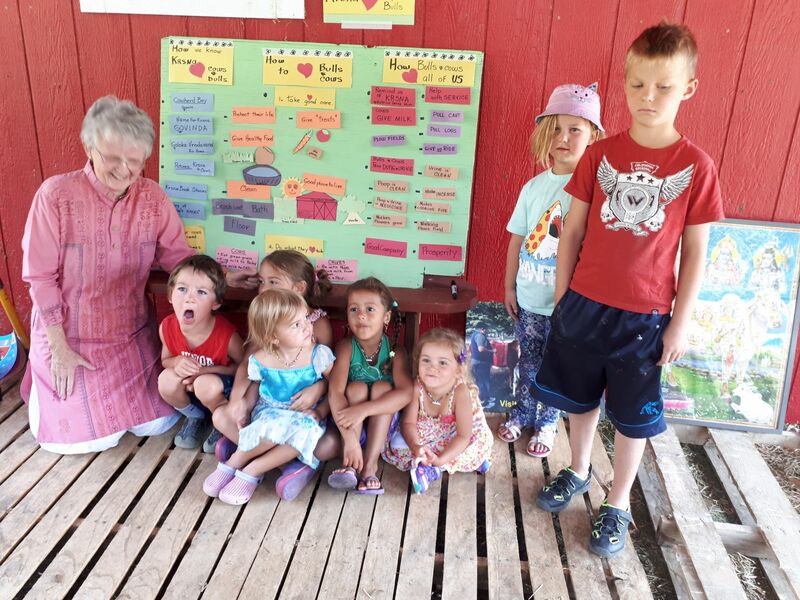 Udarakirti was a piano teacher in Russia and worked with Amnesty International to end religious persecution of the Hare Krishnas in the former Soviet Union. she came to Canada in 1989 as a political refugee and married Yoginath in 1991. They raised 4 daughters in Saranagati Village and in recent years have turned their attention to raising Krishna's cows. 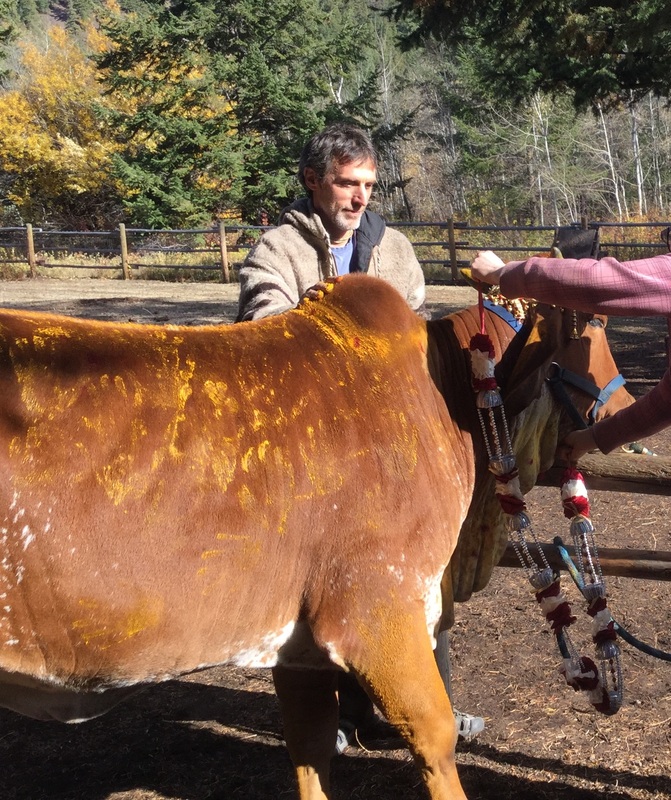 It has been a steep learning curve since neither had previous experience in animal husbandry, but over the years they have networked with goshalas all over the world in order to understand the techniques of conscientious cow care. 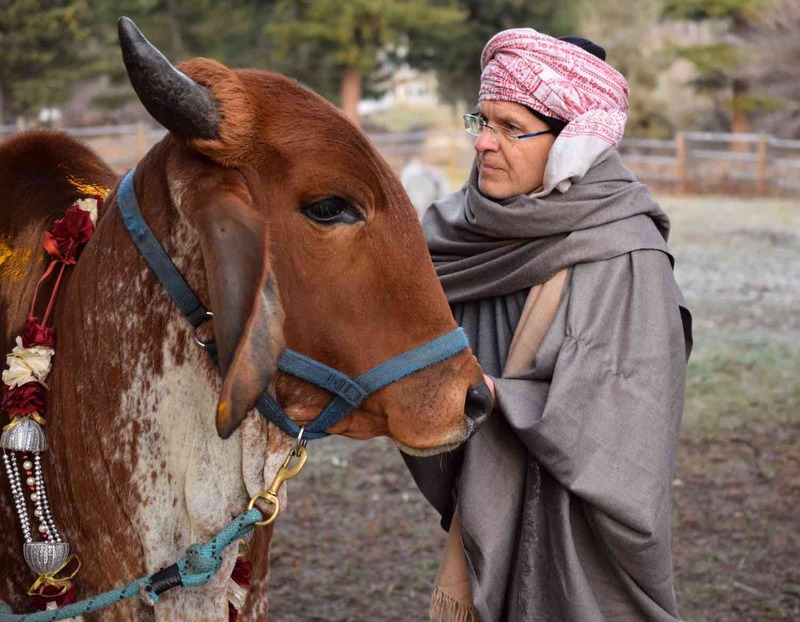 Daivata (Tony Alves) worked in the oxen training program at the ISKCON farm in West Virginia from 1981 to 1991. He fell in love with Saranagati Village and came out of retirement in 2014 to work with the oxen of Ahimsa Goshala. He now spends 6 months of the year in Saranagati Village and 6 months in India. His wife, Visvadika (Joanne Alves) also divides her time between India and Saranagati. She is a member of People for Animals International and co-founder of the Nandishala Project in West Bengal. She has a background in homeopathic medicine and was formerly the chief health care provider for a herd of 346 cows at the ISKCON Mayapur goshala. Our on call volunteers who help with cleaning, feeding, and general care are Ramanath, Vicaru, Brihat Mridanga, Jennifer and Triloka Mohini. Our special event fund raisers who orchestrate our Janmastami fundraising events are Pravin and Meenasha Mysuria.